Every job includes tasks nobody wants to do. When an organization is run well, these tasks are allocated in a fair manner, and everyone grumbles and eventually gets the job done. 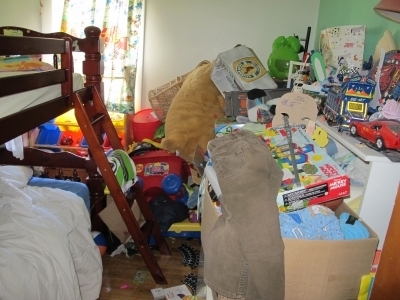 Everyone has to clean their manager’s kid’s bedroom once in a while … don’t they? But there’s a point where “difficult” becomes “unreasonable.” Meeting job challenges is how you improve in any occupation. An unreasonable demand, however, is one that requires an unrealistic effort, unreasonable rule exceptions, or that could have a negative impact on the worker and the organization. Here are 5 good reasons for an IT help desk worker to say no. Is someone higher up asking you to pirate software or install pirated software on a company machine? Sorry, nope. Sure, people pirate software all the time and get away with it, but software piracy is a serious problem that is receiving serious attention, and if you’re caught, the consequences for you as a worker and the organization you work for make this an unreasonable risk. IT help desk workers get non-IT requests all the time. People assume that because you know how to install a network server, you know how to fix the busted microwave on the second floor. There may be occasions when you actually do know how to fix a non-IT problem and can do so without neglecting your actual work or encroaching on someone else’s work territory. But in most cases, requests for non-IT work need to be politely, but firmly, declined. Increasing numbers of organizations are implementing Bring Your Own Device (BYOD) policies that let employees use personal devices in the course of their work. 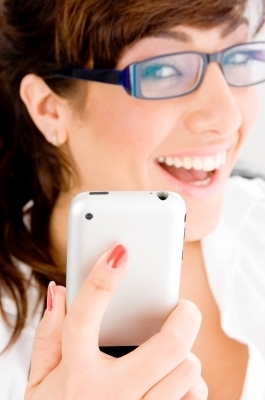 For some organizations, BYOD works great, increasing productivity and employee satisfaction. For others, security or other constraints prevent implementation of a BYOD workplace. If you’re in a non-BYOD company and are asked to set up apps on someone’s personal tablet, the answer should be no. And if you’re in a BYOD environment but are asked to do non-work-related tasks with an employee’s personal device (like loading music onto their iPod) on company time, feel free to “nope” your way out of it. “Because then it would be a chicken sedan!” And that concludes today’s episode of Punchline Only Theatre. If you’re asked to install a “backup copy” of an important piece of software on a machine for whatever reason, you could put your company in serious financial danger. Software audits are up, particularly among big software companies with the legal muscle to enforce them, and failing an audit can be very expensive. How understanding will your boss be when you install an illegal copy of a software package somewhere and get audited, even if the install was at the behest of someone higher up? Overloaded extension cords, power strips, and outlets. If your organization’s electrical system is not up to its demands, the answer is addressing the electrical system, not overloading circuits. Defective or frayed cabling and power cords. These are dangerous, and getting something installed today isn’t as important as getting it installed safely. Static electricity and improperly grounded power connections. These are shock and fire hazards, and could seriously endanger you and others. Have a look at this OSHA publication about electrical hazards in the workplace for further information. If you’re an IT help desk worker, you will face your share of challenges on the job, from the technologically-impaired end user to the buggy software you’re expected to magically fix.